Posted On August 27, 2017 by Team iCynosure. While growing up, I realised that my eyesight was deteriorating and I would need eyeglasses for even viewing the classroom blackboard correctly. Though I wasn’t very excited about the prospect of using eyeglasses, I however, did enjoy the attention that came with it. Considering the limited options available at the corner stores, I was stuck with the same frame for many years, remaining calm through the catcalls in school and weird looks in college. Eventually, as I wadded off the ‘geeky’, ‘nerdy’ phase, I resonated with my eyeglasses and finally made peace with them. Graduating from the black-n-white frames to bold colours, from rectangular frames to experimental shapes, from glass to other metals, I’ve come a long way with them. Eyeglass choices today have become so easy with Titan Eye Plus whilst becoming extremely difficult as I am now spoilt for choice with the innumerable options. However irrespective of the eyeglasses I pick, I keep a check on how they would sync with the shape of my face, my skin tone and the purpose of that particular frame in the scheme of things. In a way, I’ve mastered the selection of eyeglasses having worn them for many years. My eyeglasses not only provide clarity for vision but also are an inexpensive option as compared to the other visual aids that are available in the market. 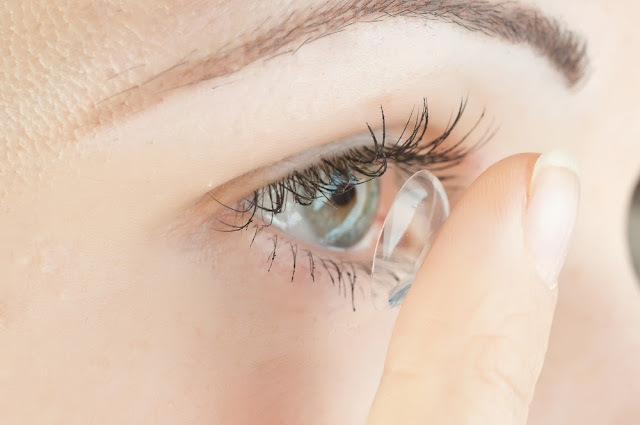 However, these days my eyeglasses have become quite a hassle and a bone of contention for me, and; so I’ve been thinking to switch to contact lenses. However, these decisions are not to be taken at the spur of the moment and need proper consideration and thought. I’ve spoken to a few friends who have made the switch and I’ve got to consider the following points before taking the simple yet crucial plunge. Even though lenses are available in a variety of style; namely soft, rigid gas permeable, disposable, extended wear; they are not for everyone. Most individuals suffer from dry eyes after using lenses which in turn may cause more harm than help the eyesight in a long run. So before making the big switch, it is most important to get your eyes checked by a professional to determine whether you are a candidate for lenses. Long working hours especially those in front of a screen can be hazardous while wearing lenses especially as the recommended usage is for a set period of time. You need to take them off regularly to give a breather to your eyes as well as adhere to schedules and cleaning instructions. Lenses are a simple solution to your vision shortcoming, however, they are high on maintenance and upkeep. Lenses involve a great deal of care and daily cleanings, with hygiene expected to be spot on to avoid any irritation and infection. You must evaluate your hygiene habits to ensure you can handle the extra responsibility. I’ve made the switch considering all the above factors because it makes me feel more comfortable, confident and carefree. Most importantly it is relatively easy to switch back to eyeglasses if I am not comfortable with my lenses. However if you are planning to make the switch whether for a practical purpose or a cosmetic one, consult an optometrist to ensure the switch is right for you.